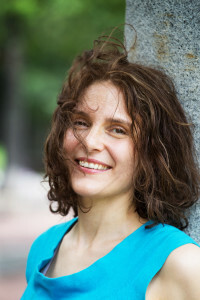 Robin joined the Playwrights’ Platform in 2017. She has been acting in and around Boston in various venues since 2001. Recent theater roles include The Woman in Greg Hovanesian’s A Bedtime Story (Boston Actor’s Theater’s SPF 17 Summer Play Festival), The Woman from Boston in Death of a Salesman (Vokes Players), Sister James in Doubt (Flyleaf Theater Company), and Deb in the world premiere of Gail Phaneuf’s Breakfast with Mary (Deertrees Theater). In addition to theater, Robin has appeared in a number of short and feature films, including playing the lead role of Margaret Miller in the independent feature Justice is Mind. She is also a voice actor and has narrated five audiobooks. Robin has studied Meisner with Lyralen Kaye of Another Country Productions, voice with Wren Ross, and has taken various classes and workshops through C.P. Casting, Shakespeare and Company, and others. She holds a B.A. in English from Carleton College, an M.A. in English from the University of Vermont, and a Masters in Library Science from Simmons College.